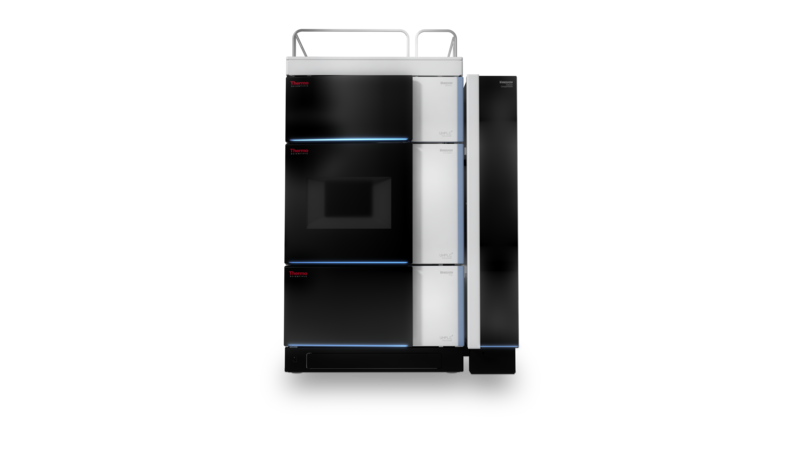 As the latest addition to the Thermo Scientific Vanquish product family, the Thermo Scientific Vanquish Flex UHPLC system is designed for high speed, resolution and sensitivity, allowing users to perform biocompatible analysis to obtain high quality and consistent data. By incorporating an integrated modular design, customers have the ability to mix and match modules depending on the demands of the application. The Vanquish Flex UHPLC will be exhibited for the first time at the 42nd International HPLC Conference in Geneva, Switzerland, Booth 14, June 21-25. • A new quaternary gradient pump module, designed for robustness without compromising performance, which provides method development flexibility while increasing throughput. • Excellent performance operating at 1000 bar maximum pump pressure, with flow rates of up to 8 mL/min to allow for high-resolution separations and application flexibility. • New fluorescence detector for increased sensitivity complements the absorbance detector module for high sensitivity and extended linearity and the new charged aerosol detector module for non-volatile compounds. HPLC analysis requires more than just hardware. To complement the new Vanquish Flex system, the new Thermo Scientific SMART Digest kit is a new protein digestion tool that provides sensitive and fast analyses. In addition, the Thermo Scientific AppsLab library of analytical applications, the fully searchable online method repository offers protocols, method information, chromatograms and all the information to run, process and report an analysis.